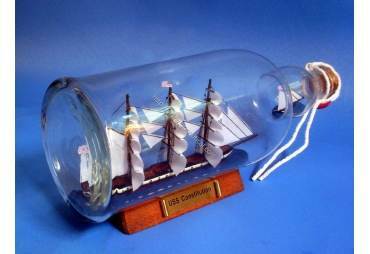 → Model Ships>Ships in the Bottles>USS Constitution Ship in a Bottle 11"
Amazing replica of USS Constitution in a glass bottle (not plastic). Accurate number of sails, masts, gun ports and flags per the actual USS Constitution. 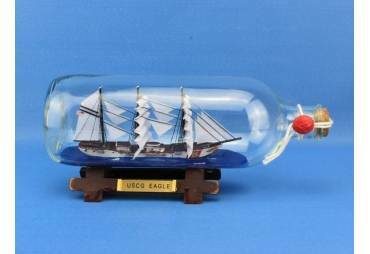 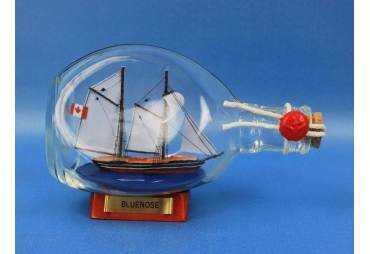 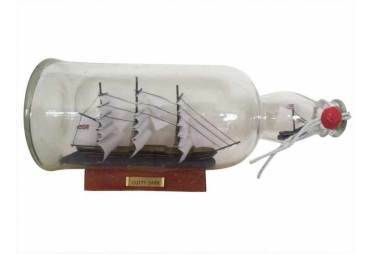 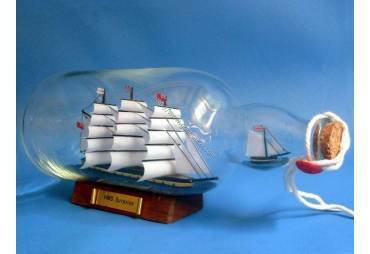 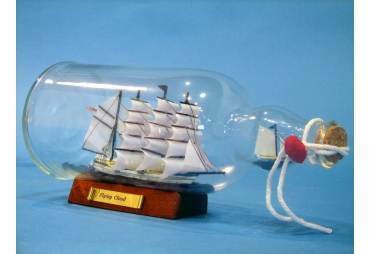 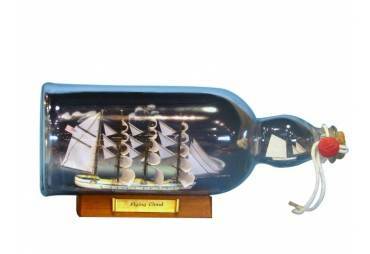 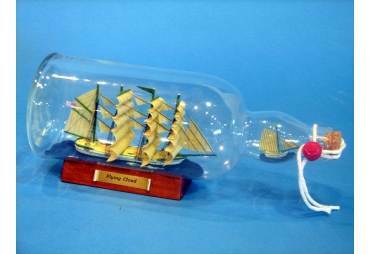 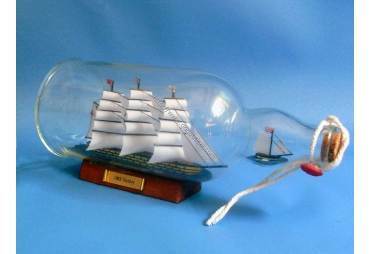 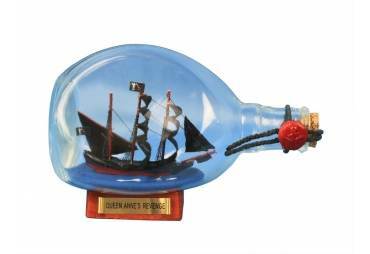 This ship in a bottle rests on a sturdy wood stand with a metal nameplate where USS Constitution is clearly displayed.